On Oct. 12, 1986, the Fort Payne Depot was dedicated as a museum. Then, on Oct. 13, 1991, the depot celebrated its 100th anniversary. The museum houses a large collection of Native American artifacts that portray the history of the region and the railroad era. The depot was built in 1891 by the Alabama Great Southern Railroad. The town was a main stop on the line, with two mail trains and about six passenger trains daily. Several well-known people passed through the depot, including U.S. Supreme Court Justice Hugo Black, who gave an address in Fort Payne before he was named to the high court, and President Franklin Delano Roosevelt, who rode through the depot without stopping while traveling to the funeral of William B. Bankhead, speaker of the U.S. House. The depot served passengers until 1970. After that time, only freight trains passed through until that service was halted by the Public Service Commission in 1983. 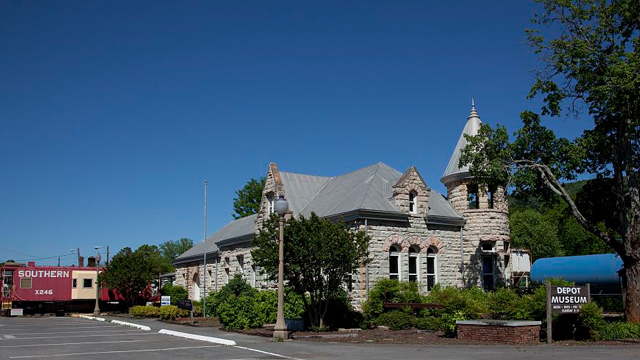 Landmarks of DeKalb Inc. was created to save the depot and the members decided to turn the old building into a museum.